The MP and MLA Local Area Development scheme comes under the scanner after Nitish Kumar scraps it in Bihar. Last March, Maharashtra's then finance minister Sunil Tatkare found himself in a tight spot during the budget session. Members of the Legislative Assembly (MLAs) cut across party lines to demand a doubling of the annual constituency fund of Rs 1 crore given to each of them. The pressure tactics worked. Despite the state's adverse fiscal situation, the minister raised the MLA Local Area Development, or LAD, fund to Rs 1.5 crore. The extra bill: about Rs 145 crore a year. The MLAs, however, were not happy. Around the same time, in Delhi, the Planning Commission stonewalled a proposal from the Ministry of Statistics and Programme Implementation to raise the annual LAD fund for each Member of Parliament (MP) from Rs 2 crore to Rs 5 crore. The Commission cited an acute shortage of funds for even the flagship programmes of the United Progressive Alliance, or UPA, government at the Centre. Last December, Bihar Chief Minister Nitish Kumar did the unthinkable: Soon after winning a second term in November's elections, he scrapped the MLA-LAD scheme. Bihar's legislators were getting Rs 1 crore a year under the scheme. The entire political class sat up and took note. An astute politician alive to the ground realities, Kumar was aware that the scheme had failed to yield the desired results. A month before Bihar's assembly elections, Satark Nagrik Sanghathan, a Delhi-based citizens' group, had released a report card on the spending pattern of the MLA-LAD scheme in several constituencies of the state. "People were not aware of what the funds were spent on. There was neither transparency nor any mechanism in spending,'' says Anjali Bhardwaj, Director of the Sanghathan. Her team used the Right to Information or RTI Act to get details about the end-use of MLA funds; it got details on only 100 of the 243 assembly constituencies. Even so, it took 10 months to squeeze out this information. It turned out that the MLAs had spent the money fully, but mostly on roads - even though the state Budget had set aside money for roads. Earlier studies had shown that 52 per cent of the assets created in Bihar through the MLA-LAD scheme were sub-standard, and 12 per cent were poor. The LAD scheme was first introduced by the Union government for MPs through an executive order in December 1993. The states followed with their own schemes for legislators, with Haryana being an exception. Over the years, the scheme has been in the news for all the wrong reasons. In 2005, a sting operation by a TV channel caught seven MPs demanding cuts for recommending development work. More recently, in 2009, Sakshi Maharaj, a Rajya Sabha member from Uttar Pradesh, released Rs 25 lakh from his LAD fund to his own private college. Critics argue that the scheme is now better identified with graft than with spurring development in states. Says Trilochan Sastry, Academic Dean of the Indian Institute of Management, Bangalore or IIM-B: "What Nitish Kumar did in Bihar is a step in the right direction. The Centre should also follow this." Sastry is also the founder of the Association of Democratic Reforms. I have always felt the MP funds were intended more to placate the MPs than for any benefit of the people. It does little beyond helping an MP increase his own popularity. Far more damaging, however, is that it throws the entire planning processes at the state and district level upside down. In fact, under the existing set-up, an MP can participate in the planning processes, make his point and get his projects implemented within the purview of the established planning process. Instead, he is allowed to handle the funds for his political advantage. As I have discovered, most MPs stay away from these meetings. The way some MPs suggest projects shows they are only meant to suit their own purposes. 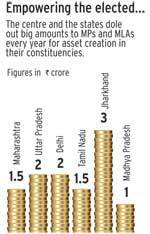 The operation of MP funds, clearly, has the entire planning processes in states in disarray. Now, there is even a demand for increasing the amount to `5 crore per MP, which is a lot of money. There is also this tendency among MPs to spend the funds in places where they want to increase their popularity rather than where they are badly needed. The scheme thus becomes a propaganda tool for an MP while, at the same time, giving him an unfair advantage over his electoral opponents at the time of elections. There is no level playing field here. The 14th Lok Sabha was witness to allegations against some of the MPs misusing the funds leading to some of them being suspended. I don't say all MPs are dishonest, but I don't want a single MP to be suspected of dishonesty on account of the MPLAD scheme. It only gives scope for corruption at an individual MP's level and creates suspicion in the minds of the people. To my mind, the MP/MLA funds are nothing but a sort of attempted bribery of the electorate by their elected representatives. I congratulate Nitish Kumar-ji: He has realised that the scheme is politically wrong and morally improper, and administering it creates a lot of problems. Quite a few MPs are bitter critics of the LAD scheme. Veteran Parliamentarian and former Lok Sabha speaker Somnath Chatterjee describes it as "a sort of attempted bribery of the electorate by their elected representatives'' (see It's Bribing the Electorate). Rajya Sabha member Rajeev Chandrasekhar, a former telecom entrepreneur, thinks that giving MPs or MLAs their own budgets is a bad idea despite its good intentions. "It is another example of spending of the exchequer and taxpayers' money with no outcomes or accountability. Given the lack of a spending/outcome framework, MPLAD spending, like most government spending, tends to be arbitrary, political and very discretionary,'' says Chandrasekhar. Adds Basudeb Acharia of the Communist Party of India (Marxist): "The Left in principle opposes the scheme but we are offering it in West Bengal only because other states are doing it." Critics also pan the scheme on grounds of propriety. "The MPs should make law, make policies, and not perform the role of the Executive,'' says Sastry. 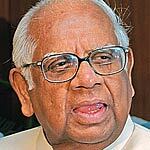 In 2002, the National Commission to Review the Working of the Constitution, headed by former Chief Justice of India M.N. Venkatachaliah, had favoured discontinuation of the MPLAD scheme. It had pointed out that the activities for which MPs were supposed to spend the LAD funds were already in the State List, and the 73rd and 74th Constitutional amendments required the local bodies to carry out most of these activities. In 2009, the second Administrative Reforms Commission, headed by Veerappa Moily, the present Law Minister, had also recommended the scheme's abolition. There is, however, a view within civil society that the scheme can work with checks and balances. 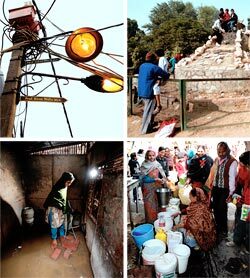 Satark Sanghathan's Bhardwaj says: "Our experience has shown that in some places where people had information about the availability of these funds, they were able to get their basic demands like drinking water or better roads met.'' In May 2010, a five-member bench of the Supreme Court declined to strike down the scheme, observing that it was perfectly Constitutional, but noted that "efforts must be made to make the regime more robust''. The perception, nevertheless, is that the LAD scheme is a flop. In recent times, Sonia Gandhi, the Congress President and UPA Chairperson, has been suggesting that chief ministers give up their discretionary powers of land allotment. Now, given the abysmal record of the LAD scheme, perhaps it's time for politicians to surrender their discretionary spending power as well.